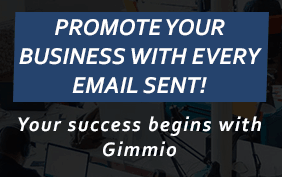 Open your browser and log in to Rackspace. At the top right, click the menu button and then click Settings. 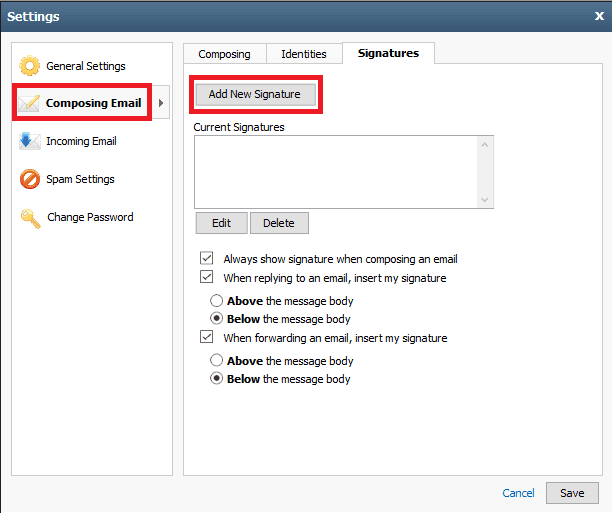 On the left menu, click Composing Email, and then click Add New Signature from the right. 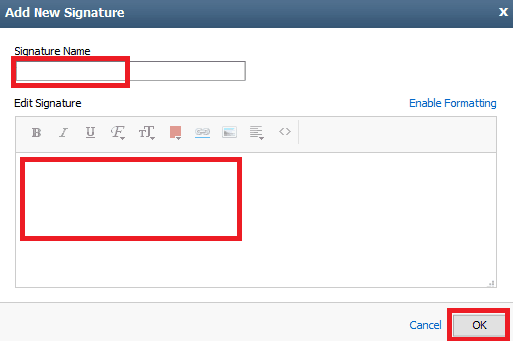 Type a name for your new signature and paste your email signature into the text box provided. Once done, click OK and close everything to return to the main screen.